Ann and Ian welcome you to Hillview bed and breakfast in the village of Crianlarich. We aim to offer you traditional bed and breakfast hospitality at Hillview and have been welcoming guests from all over the world for almost 10 years. Set in the Scottish Highlands, and lying within the Loch Lomond and Trossachs National Park, Hillview b&b is ideally situated as a base for your Scottish holiday or for a comfortable overnight as you walk the West Highland Way from Milngavie on the outskirts of Glasgow to Fort William at the foot of Scotland’s highest mountain, Ben Nevis. 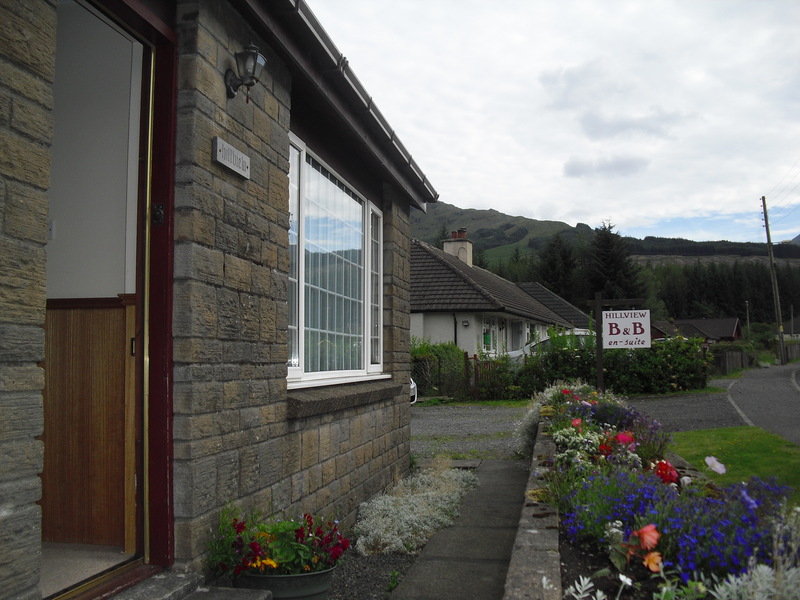 Our comfortable accommodation in Crianlarich has en-suite rooms, hearty Scottish breakfasts and warm hospitality and will make your stay at Hillview unforgettable. There is plenty to do in and around Crianlarich from an overnight stop on the West Highland Way to a day trip to Oban by road, coach or train. There are many Munros (Scottish Mountains over 3000 feet or 914.4 in metres) in the area with well over 30 Munros less than 30 minutes drive from our Crianlarich b and b at Hillview.